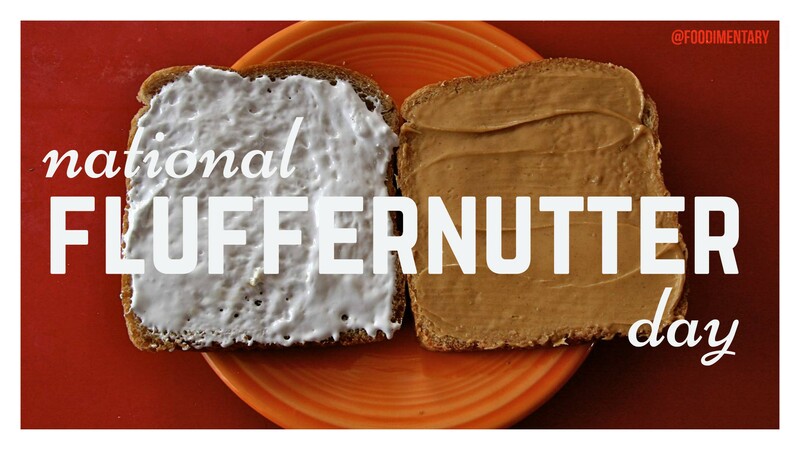 A Fluffernutter is a sandwich made with peanut butter and marshmallow creme, usually served on white bread. Variations of the sandwich include the substitution of wheat bread and the addition of various sweet, salty and savory ingredients. The term fluffernutter can also be used to describe other food items, primarily desserts, that incorporate peanut butter and marshmallow creme. The sandwich was first created in the early 20th century after marshmallow creme, a sweet marshmallow-like spread, was invented in the U.S. state of Massachusetts. Archibald Query of Somerville, Massachusetts, invented a product he called Marshmallow Creme in 1917, and Emma and Amory Curtis of Melrose, Massachusetts, invented Snowflake Marshmallow Creme in 1913. During World War I, Emma Curtis published a recipe for a peanut butter and marshmallow creme sandwich, which is the earliest known example of a Fluffernutter. 1871 The Great Chicago Fire broke out and destroyed over 17,000 buildings and left almost 100,000 people homeless. It was usually blamed on Mrs. Kate O’Leary’s cow kicking over a lamp. However in 1997 the Chicago City Council looked into the evidence, both new and old, and passed a resolution exonerating Mrs. O’Leary and her cow. Many still believe the cow was guilty. 1919 Congress passed the Volstead Act, which enforced the ban on the sale and consumption of alcoholic beverages. Prohibition begins. 1952 ‘The Amy Vanderbilt Complete Book of Etiquette’ was published. Fluffernutter!! You just couldn’t make it up! Sounds as if it tastes great though. Good post.